One of the staples of Tallahassee. 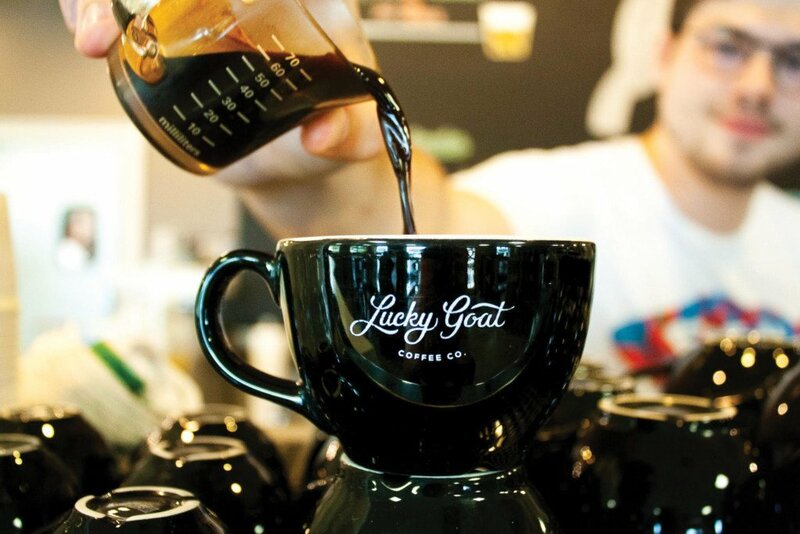 Photo courtesy of Lucky Goat Coffee. Embrace the “Coffee Shop Effect” this year. Spending a few hours at a coffee shop is no longer just for the studious college student writing a 13-page paper. Whether you work from home and need to switch up your scenery or you just need a break from the office, these 5 local spots are guaranteed to up your productivity. Seating: Some couches for more relaxed seating as well at 4-top and 2-top tables for easy group and solo work. Food offerings: Good breakfast pastries, quiches, and Tasty Pastry cookies. Pro Tip: You can’t go wrong with the Cold Brew Brownie. Seating: Lots of tables but not too many large collaborative spaces. Food offerings: Different bakery options as well as easy grab-and-go food options. Other: Not only do they have great coffee but they make a commitment to being socially and environmentally responsible. Seating: Indoor and Outdoor seating (perfect for bringing your furry friend along with you). Food offerings: Small lunch menu along with easy bistro style food like sandwiches and pastries available at the register. Other: You can’t ask for a better location. Take a quick walk or jog through Cascades park before sitting down with your coffee and getting to work. Seating: Plenty of table seating with outdoor options as well and bar style seating against the window. Food offerings: menu of lunch options including sandwiches and mac & cheese, fresh doughnuts, quiches, etc. Other: While SoDough is not specifically a coffee shop, they offer great coffee, unique brioche doughnuts, and great lunch options. The atmosphere is also very bright and comfortable creating a great workspace. Seating: Both their indoor and outdoor seating offers a cozy atmosphere to get work done. Food offerings: All day Breakfast and Lunch options. Other: All of their coffee is made from their own unique blends which are also available for purchase.